This mine was acquired in 1999 by Monte Cello BV, which became a subsidiary of Sterlite Industries (India) Limited, in 2000 when it was acquired by Sterlite to supply part of its copper concentrate requirement for its smelter. Since its acquisition by Sterlite, its capacity has increased from 2.0 million TPA to 2.7 million TPA. At present, underground sub-level caving mining is being carried out at 1000 meters below the original surface (600 meters below 0m Australian height datum 2000RI). It produces approx. 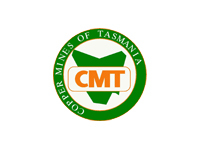 30,000 tonnes per annum of contained copper (Cu) in concentrate. It has produced more than 1.8 million tonnes (Mt) of copper (Cu) and 62 tonnes of gold (Au) and 1,300 tonnes of silver (Ag) till date. It provides 7% of the copper concentrate requirement of its parent company Sterlite’s copper smelter in Tuticorin, India. JORC compliant reserves of approximately 9.5 million tonnes of ore at 1.25% Cu.